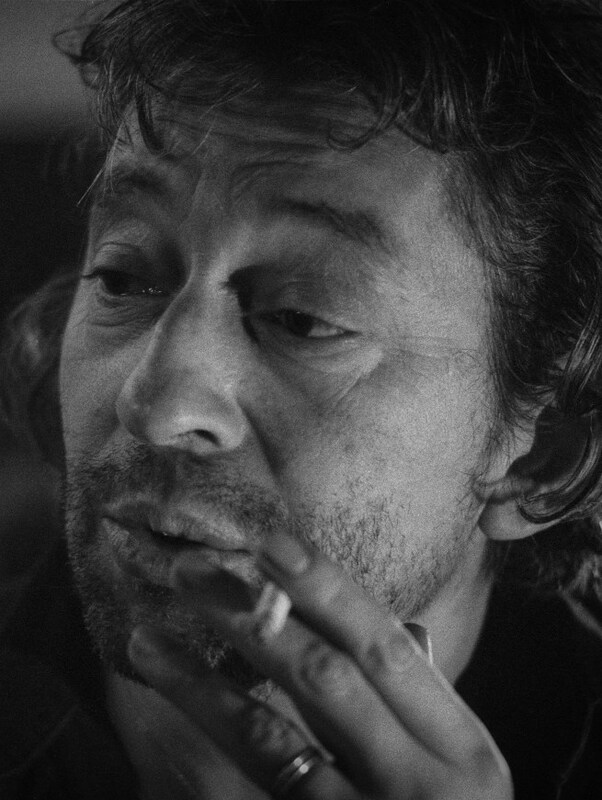 Born in Paris on the second of April 1928, the son of Jewish Ukrainian migrants who had fled to France after the 1917 Russian revolution… There was little in Serge Gainsbourg’s early life to predict he would become the most beloved bad boy of pop in France. Now, 25 years after his death, he is still revered as an icon and a provocateur from a period when the rules in art and music were being completely rewritten. It would be hard to imagine a more outrageously talented, complex and adored figure in French music culture as Serge Gainsbourg. It was impossible to label him as his songs evolved constantly, encompassing all genres of music from jazz, mambo, pop, ye ye, rock n’ roll to reggae and punk. He wrote over 550 songs, some often morbid or bizarre but resplendent with clever word play, double entrendres and sexual references. He was an actor, painter, poet, and screenwriter who scandalized and shocked with his irreverence. But he was also witty and warm and an adoring father. 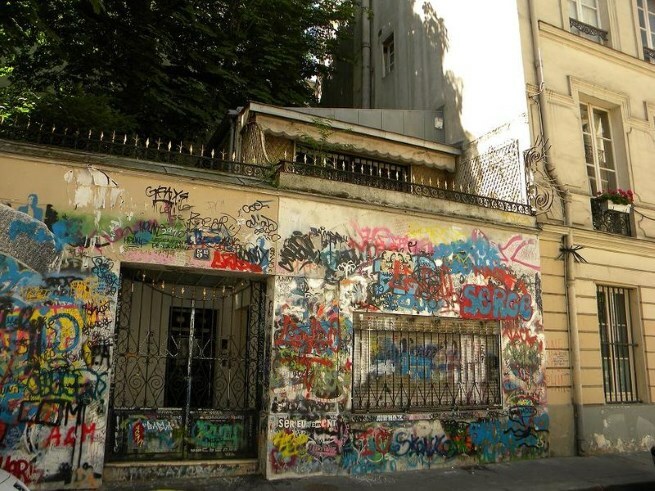 His home in Rue Verneuil in the 7th arrondissement is permanently graffittied and re-graffittied by faithful fans. 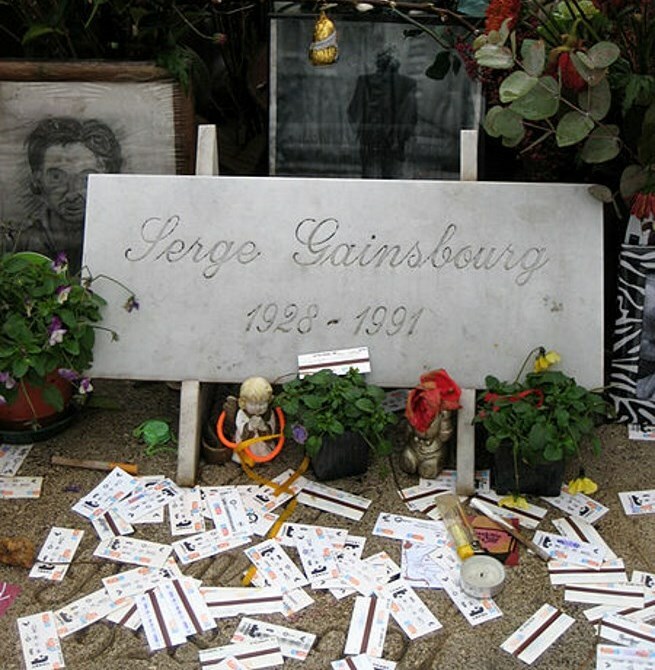 His grave in Montparnasse cemetery freshly adorned daily with metro tickets (in dedication to his song ‘Le Poinconneur des Lilas’ about the monotonous life of a metro ticket man punching tickets all day and contemplating punching a hole in his own head) and cigarette packets; Gainsbourg was rarely seen without a cigarette in his mouth. His father Joseph Ginsburg was a classical musician who taught both Serge and his sister Liliane to play the piano. However it was WWII that had the most profound effect on Gainsbourg’s life. As Jews in occupied France, the family were compelled to wear the hated yellow star, a symbol which haunted Gainsbourg his entire life. The family made their way to Limoges with false papers. 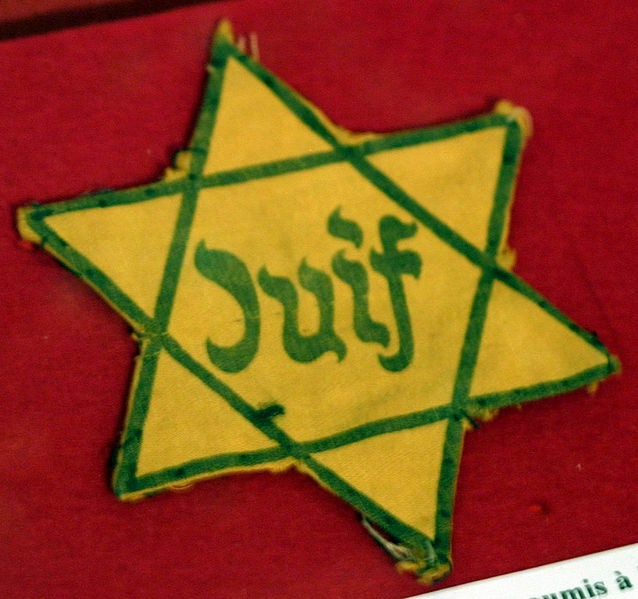 Limoges, despite being in the Free Zone, was still under the collaborationist Vichy Government and consequently made for a perilous existence for Jews. After the war Gainsbourg taught music and dance in a school outside Paris. The school in Le Mesnil-le-Roi taught orphaned children of murdered deportees. Their harrowing stories affected both Gainsbourg as a person and Gainsbourg as a performer for the remainder of his days. 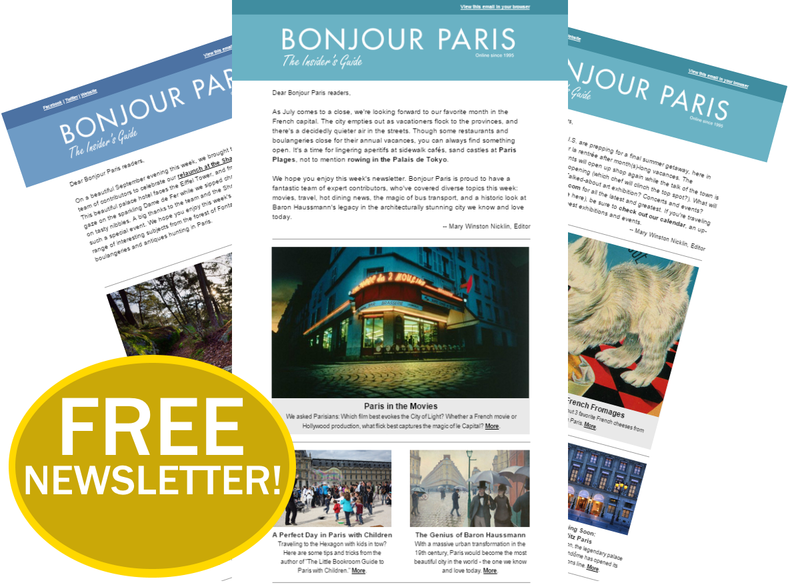 By the age of 30, Gainsbourg was still making his living playing the piano in bars and it wasn’t until the early 1960s that Gainsbourg slowly began to make his mark on the music scene. He felt (probably with reason) that his unorthodox looks held him back, his prominent nose and ears were often mocked by critics and the public alike. In 1976, Gainsbourg released a record, L’Homme à tête de chou (“Cabbage Head Man”), deriding his own looks. In 1965, his song, ‘Poupée de cire poupée de son’ sung by France Gall, won the Eurovision song contest. 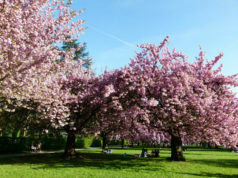 While the content of this song was innocent enough, the next song Gall recorded, ‘Les Sucettes’ (Lollipops) was filled with enough sexual innuendo to cause a scandal in France. Gall had apparently been unaware of the implicit double meaning and her reputation was damaged for several years afterwards. 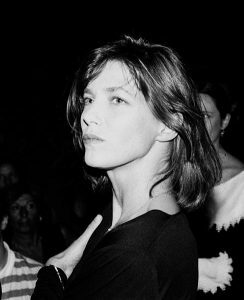 And then in 1968, Jane Birkin walked into his life. 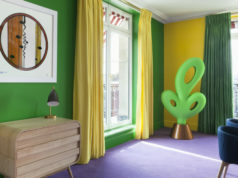 Long legged, wide-eyed, straight haired-the epitome of London’s swinging sixties, and 20 years his junior, Birkin had already appeared in the iconic sixties film Blowup when she met Gainsbourg on the set of Slogan in Paris. Birkin was recovering from the break-up of her marriage to John Barry, the composer, and Gainsbourg was still not over Bardot who had ended the affair. Their first date was a preview of their next 12 years together. Gainsbourg first took her to a night club, then a transvestite club and finally to the Hilton Hotel where he passed out in a drunken stupor. 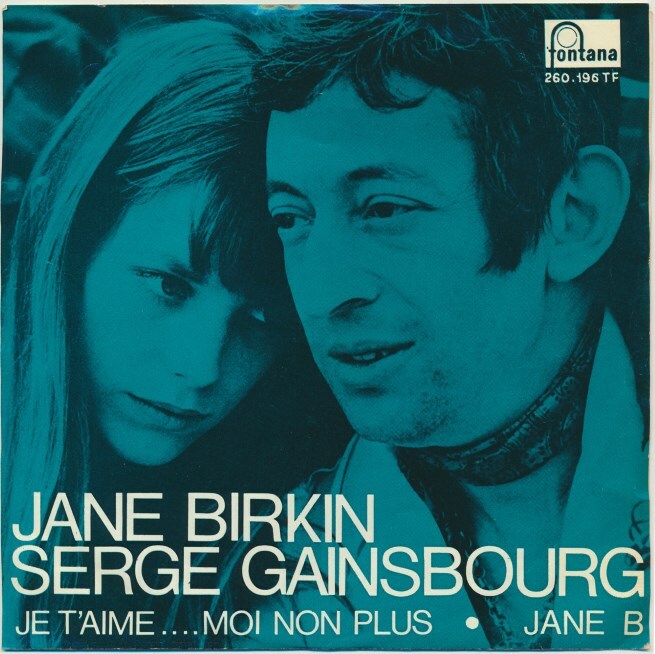 Their love affair had already caught the imagination of the public both inside and outside of France, but when Gainsbourg rerecorded Je t’aime, moi non plus with Birkin, there was an explosive outcry world-wide. The song with its explicit lyrics and heavy breathing caused outrage. 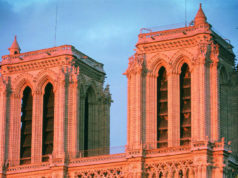 It was banned in many countries, including France, and the Vatican released a statement pronouncing the song to be offensive. The controversy helped to ensure the success of the record and it was a huge hit in most European countries. In 1971 Charlotte Gainsbourg, now an acclaimed actress, was born. As a baby and still small enough to fit into a basket, she was taken to night clubs with her parents and came home with them in the early hours. The Gainsbourg/Birkin partnership may well have been turbulent– Birkin famously threw a pie in Gainsbourg’s face in a restaurant in Paris, before running along Blvd St Germain and jumping in the Seine… Then shivering but laughing, walked home arm in arm with Serge– but it was filled with love and they remained close friends for the rest of his life. Indeed when her marriage to Jacques Doillon the film director ended in the 1990s, Doillon was quoted as saying ‘that he could not compete with her grief for Gainsbourg’. Gainsbourg continued to court controversy throughout his entire career and was often harshly criticized for his lyrics, black humor and the sexual innuendos in his songs. He continued undaunted and unbowed. He had never curbed his drinking nor smoking despite liver surgery and would often appear on chat shows unshaven and inebriated, which sometimes culminated in a foul mouthed tirade. 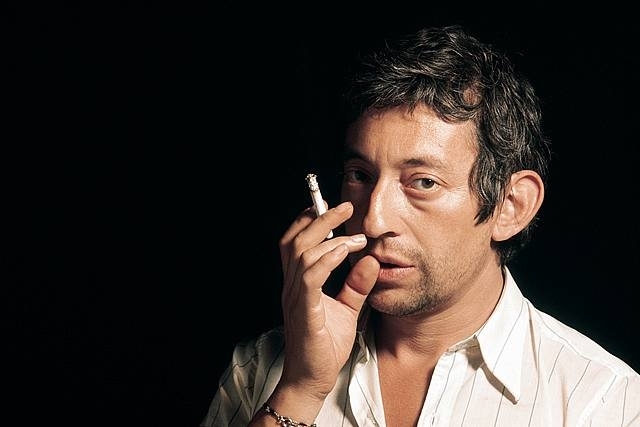 Gainsbourg had a son, Lucien, in 1986 by his last partner Bambou (Caroline Paulus). His public appearances became less frequent as he had to rest and recover from his treatments but he continued to work on his new releases, ‘Love on the beat’, and ‘You’re under arrest’. 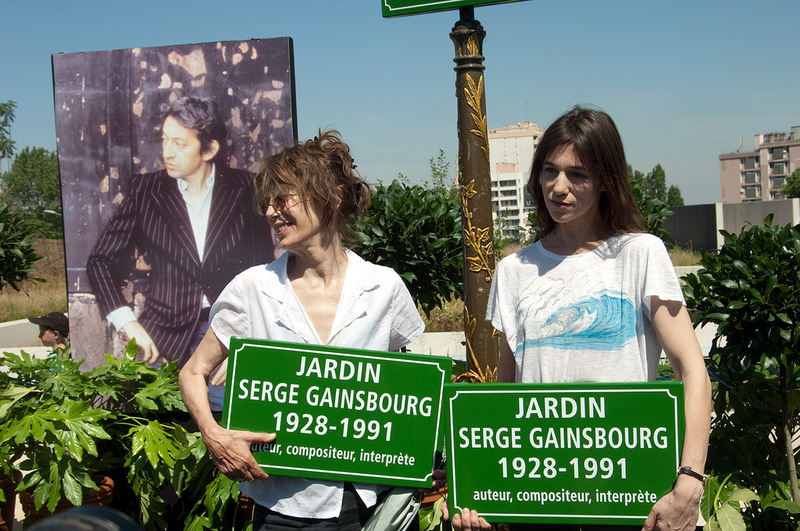 Charlotte Gainsbourg petitioned the French Government to allow Gainsbourg’s house, left exactly as it was when he died, to become a museum. Sadly, so far, she has not been successful. I LOVED HIS MUSIC AND HE REPRESENTED OUR LIVES IN PARIS .THE 60TH GENERATION .